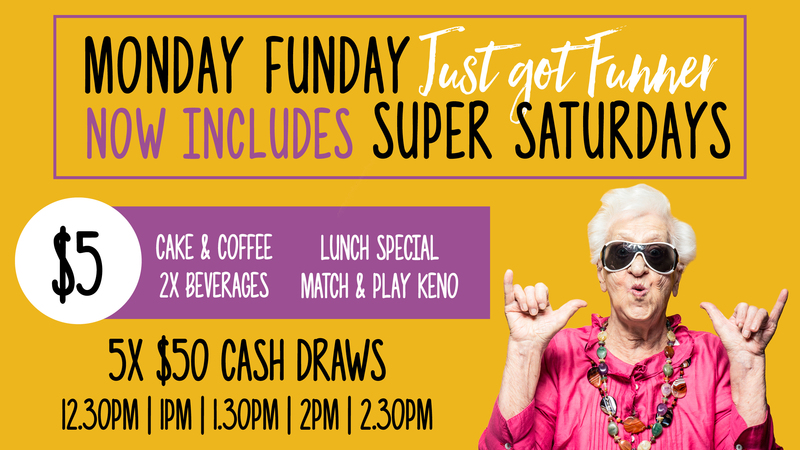 Monday Funday just got funner… Introducing Super Saturdays! PLUS, we have five draws of $50 cash. See staff for details!